You might have heard of the new Whatsapp ruling regarding forward-messages. Whatsapp in a blog post, dated July 19, 2018, stated that the instant messaging app will be taking up a new measure to restrict the number of people to whom a message could be forwarded. The number decided upon was 20. This means that a sender would only be able to forward a message/image/video to a maximum of 20 other chats. Apparently, this regulation was necessitated by the influx of fake /misinformed news which is forwarded profusely by users without verifying it. According to WhatsApp, this goes against their principles as an instant messaging platform which holds safety and privacy of the user at its core. However, there will be people who would want to enjoy unrestricted Whatsapp functionality hence I will be showing you how to overcome Whatsapp Forwarding Restriction. Whatsapp Forwarding Restriction More Severe in India? There is another aspect to the story as well. In India, where according to the blog, more messages/images/videos are forwarded than any other country in the world, the limit was decided to be 5. This means that if you are in India you will now be able to forward a message to a maximum of 5 chats only. This limit was deemed appropriate by Whatsapp given the social and political makeup of the country. The Whatsapp Forwarding Restriction was implemented in India to counter the spread of false/unverified news stories. However, this restriction also hurts those who don’t mean to cause any harm and simply want to have a bigger reach in order to spread educational awareness on different matters. One of the measures mentioned above is the restriction imposed on the number of chats a message can be forwarded to. Another such measure is the removal of “quick forward” button next to media messages for Indian users. Whatsapp will also be labeling forwarded messages to inform the receiver that the message received is indeed a forwarded message. However, as is the case with most technological restrictions, there is almost always a loophole whereby the intended restriction can be overcome. In this case, there is an unofficial version of Whatsapp called GBWhatsapp that offers an abundance of features that can not be found in the official app. Moreover, no restriction on message forwarding either. 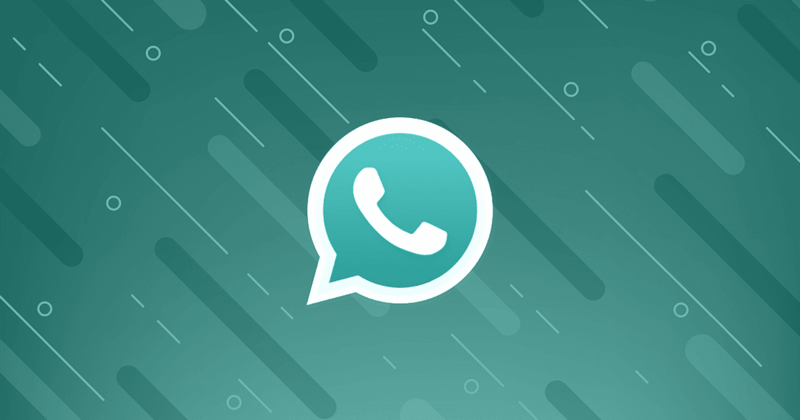 GBWhatsApp is a modded version of WhatsApp that offers a plethora of amazing features and a lot of privacy options and themes. For instance, you can use GBWhatsApp on two different sims on the same mobile phone granted that the phone has dual-sim support. Furthermore, The team behind GBWhatsapp routinely release updates in order to keep the app in tune with different Android OS releases. Some of the other features include video calling, increased number of letters in status, possibility to hide notifications, possibility to send larger video size and audio file without worry, send e-books, increased variety of themes, set passwords for different chats, and more. You can read about the full list of features on their website here. Disclaimer: I or TNM Team will not be responsible for the legal repercussions resulting from the use of GBWhatsapp, it is an unofficial thirdparty app so read up on the safety aspect of the app before installing it. Step 1- Download GBWhatsApp 6.75 APK APK from here. Step 2- Copy the APK file to your phone’s storage or memory card if you have downloaded the file on your computer. You can also use your smartphone’s browser to download the file directly to your phone. Step 3- Open settings and go to “Security”. Enable “Unknown sources” to install downloaded APK. Step 4- Now using the file explorer on your phone go to downloaded APK’s location tap on it. It will ask for some permissions, agree and let it install. Step 5- Once the installation is completed. Open the app. Agree to the terms of GBWhatsApp and continue. Step 6- Once you have entered your phone number, GBWhatsApp will verify your new number via OTP code. This is all, now you have GBWhatsapp installed on your smartphone. Enjoy the many features this app offers and let me know in the comments if you have any questions.